Dingle Bay has been celebrated in many a poem and song and has a history which is rich in both facts and folklore! The harbour’s most famous resident is of course Fungi the Dingle Dolphin and there are daily boat trips which take trips out to see this friendly bottlenose dolphin. Many of our guests, particular those on a family holiday, take a trip out to see the dolphin or indeed one of the harbour cruises. 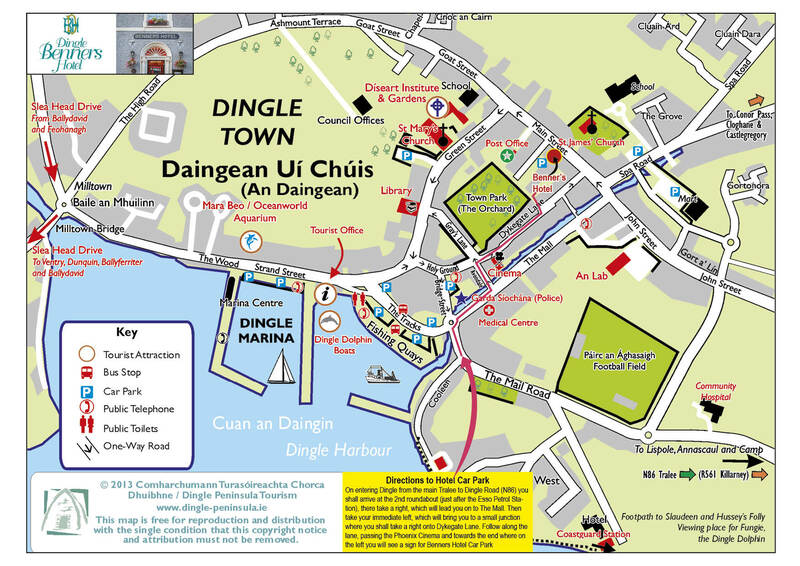 A Dingle harbour cruise will take in the maritime history of the town, which has long held connections to Spain and to France. There are of course wonderful stories of the lost fishing village, Marie Antoinette’s planned refuge to Dingle and the hidden passageways laid in preparation for her arrival and even an exciting WWII rescue which brought the rescued navy men to safe shelter (to stay in Dingle Benners no less!). One of the best times to take the harbour cruise is in the evening, just before dinner and as the sun is setting! Another wonderful boat tour along the Wild Atlantic Way is an eco-tour which explores Dingle Bay. Along the way you may even spot seals, puffins, gannets and other seabirds as well as whales, dolphins and porpoises. Boat tours depart from both Dingle & Ventry harbours and from Dunquin pier. We are always more than happy to help advise on the best trip for you, to make the most of your time here in Dingle and will even pack the picnic if you like!